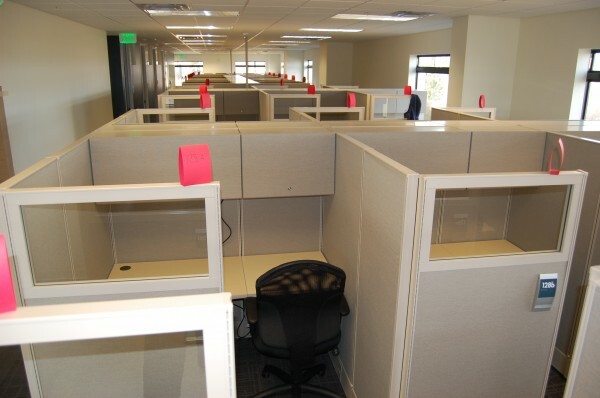 AIS Di Vi cubicles are 5×5 with 64″ high panels. Each station has 5 feet of overhead closed storage. 24″ deep BBF pedestal included with each station. 24″ wide closure panel with glass accent on the top. Sold in 8-packs with power down the spine panels. Great for call center application. New product from AIS still available to supplement these stations if needed.